Hanns R. Neumann Stiftung photo. We have been working towards farmer training on good agricultural practices (GAPs) at an increasingly larger scale, and the number of agronomists and technicians employed in the sector has probably never been higher. Still, there is evidence that our sustainability efforts are not good enough. 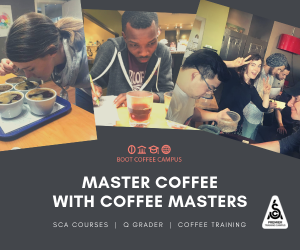 In particular, one very crucial element for the long-term viability of coffee and coffee-based livelihoods must be more central to our efforts. We need to address the land footprint of coffee. 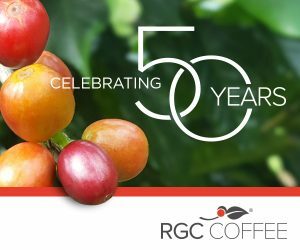 Climate expert Peter Baker estimates in his report “Global Coffee Production and Land Use Change” that coffee production is driven by technological improvement to a relatively small extent. He estimates that the yearly increase of coffee land reaches about 100,000 hectares, which points to a critical issue: Deforestation. Assessing the development of production volumes in recent years, it is likely that additional coffee has been made possible through deforestation. 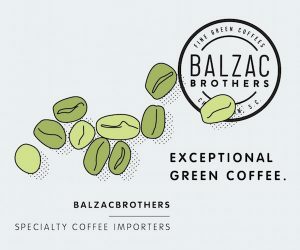 Forests and forest trees need to be essential elements of coffee landscapes. They stabilize ecosystems by storing water, protecting soil, circulating soil nutrients, reducing temperature, balancing micro-climates, purifying air, housing countless animal and plant species and enriching biodiversity. Furthermore, they are important carbon sinks and, thus, contribute to limiting greenhouse gas emissions and counteracting climate change. When well managed, they might offer an additional source of income for farmers and their families, e.g. through the careful extraction of wood, the use of fruits, or the use of other forest products like medicinal plants. 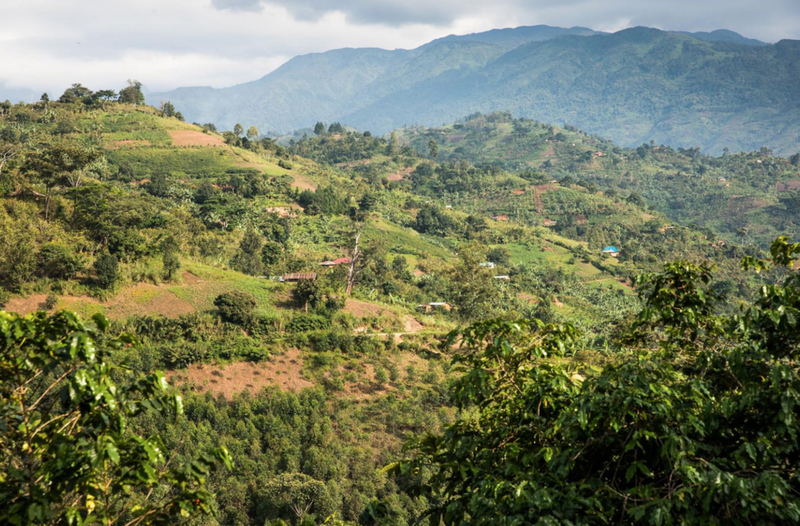 But what makes farmers replace forests with coffee, sometimes even on the steepest slopes? Why do coffee landscapes in large parts of the world lack forests and tree cover? Why are rural landscapes degraded in many places resulting in erosion, pollution of water, the spread of pests and diseases and distortions of local micro-climates? The reasons may be manifold, but they go back to two key concepts: Economic attractiveness and legislation. Economically speaking, the value of forest is too low compared to other income-generating opportunities. Environmental and societal services they provide are not compensated and, thus, the incentive to keep and protect them is limited. Ecological damages are negative externalities and are not taken into account in product prices. This causes market failure because a product’s price does not accurately reflect the true costs of production. Although environmental legislation requests the protection of forest and establishment or maintenance of bio-corridors in rural landscapes, the effective enforcement of such legislation is rather weak in many countries. Economic needs paired with population growth and the rather low value of forest areas generate increasing pressure on our natural resources. A solution needs to be based on sustainable intensification of current production systems, in particular at the level of smallholder farmers that are usually achieving yields below local and regional averages. Such systems need to be embedded thorough landscape management schemes. We should be viewing trees as important elements in our programming efforts, while advancing sound cooperation formats with farmers, qualified organizations and authorities to promote forests and agroforestry systems as components in sustainable coffee landscapes. As a sector, we should encourage partnerships to thoroughly explore the land footprint of coffee. We should cooperate in interventions to halt deforestation, and partner towards the rehabilitation of degraded areas. 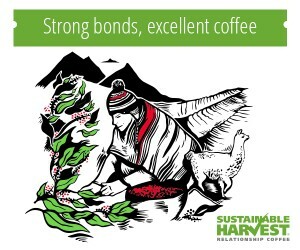 The environmental services associated with intact ecosystems need to be acknowledged and valued for safeguarding the natural resources in coffee areas and providing producers with an environment that supports long-term livelihoods. Michael Opitz is Managing Director of Hanns R. Neumann Stiftung, a foundation promoting and implementing sustainable development in the coffee sector. Michael holds an MSc in Agricultural Economics from the Wye College of London University. 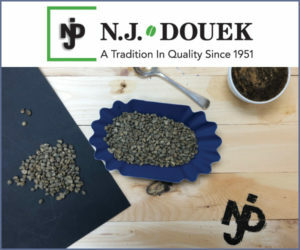 His professional life has involved a variety of agricultural projects Brazil, the Dominican Republic and Ethiopia, among other countries, with more than 25 years working in the coffee sector.